Tuesday, 8 January 2019, 11:23a.m. Max and wife Zoe married in Gloriavale before leaving in 2016. Former Gloriavale member Jeremy Max, who died in a motorcycle crash in Milford, was uninsured and completely cut off from the reclusive religious sect, according to his cousin who is also a former member. Jeremy Max, formerly Jeremy Love, died when he crashed a motorbike on Macaulay Rd in South Canterbury about 5pm on Sunday. The crash took place near the farm where he lived and worked. 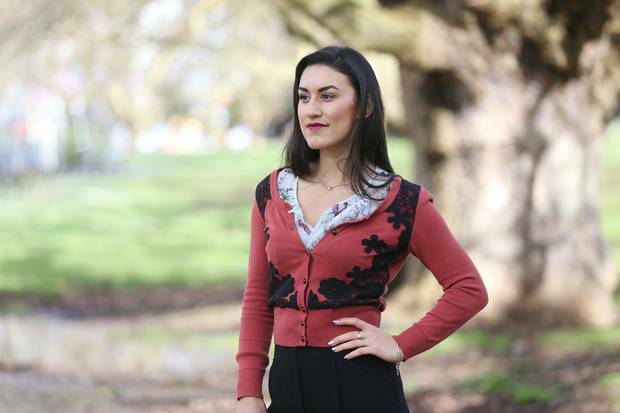 Lilia Tarawa, Max's cousin, spoke out about the death of her "beautiful relative". Tarawa is well known for publicly speaking about her life in the reclusive west coast religious community. She has written a book and given a Ted talk on her experiences. "We are heartbroken to see one of our family leave us too soon. era i roto i te rangimarie, e manaaki atua," she posted to her Facebook page. Max and wife Zoe married in Gloriavale before leaving in 2016 with a young son to start a new life. They had two children outside of the community. "Gloriavale cut-off Jeremy and Zoe, so they are estranged from their parents, siblings and wider family. "There is little chance Zoe can rely on financial assistance from Gloriavale to feed, clothe, school and care for her three children. Jeremy died with no life insurance," Tarawa said. Max is survived by his wife Zoe, formerly known as Worthy Love, a 4-year-old son, a 22-month-old daughter and a 17-week-old baby who was born prematurely. A Givealittle page was set up by friends of the couple, Graham and Liz Gregory, who are part of group of supporters who helped them transition into life after Gloriavale. Within 24 hours the page had received over $23,000 in donations. The page described Max as "an outgoing, active, fun-loving young man". "He loved his children dearly and had just taught their 4-year-old son how to ride his bike on two wheels. "The family had many plans for the future and they are devastated at the loss."